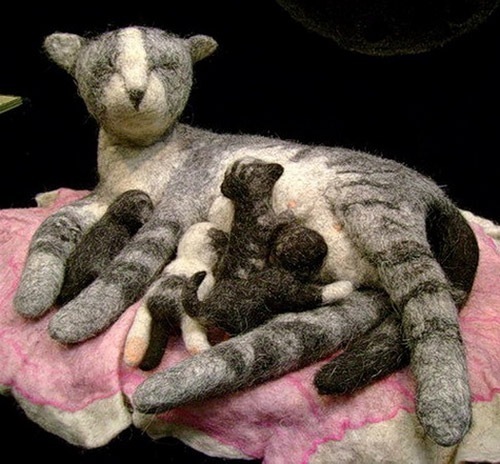 They are not toys, not souvenirs and not even interior decoration items, this is felted sculpture by Irina Andreeva, Russian artist of applied art. All that is shown below, made ​​of simple material suitable for creativity – felt. Irina has created the whole gallery of cows, butterflies, pieces of furniture, dolls, and finally, the whole composition of felt. Talented craftswoman Irina Andreeva graduated from graphic arts department of the Pedagogical University in the city of Izhevsk, Russia. 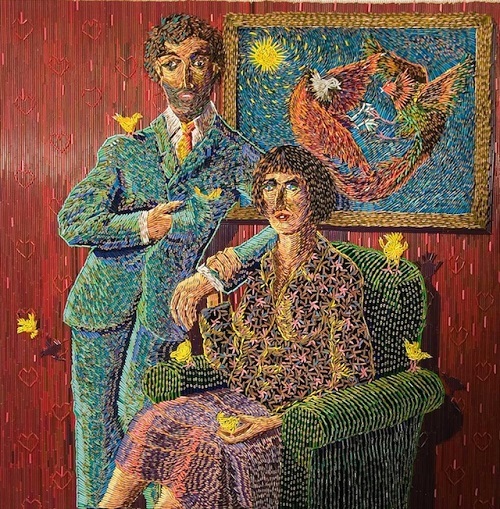 Recently, along with her husband and young son she has moved to Moscow and became at once a participant of art festivals. Her art works made her the winner of the International Festival of the author textile dolls “Eve’s Rib”. Scrap metal sculptures by John Lopez, South Dakotan sculptor are life-sized bison, a horse plowing a field, or a Texas Longhorn, a bear, all made with a uniquely Western American twist. 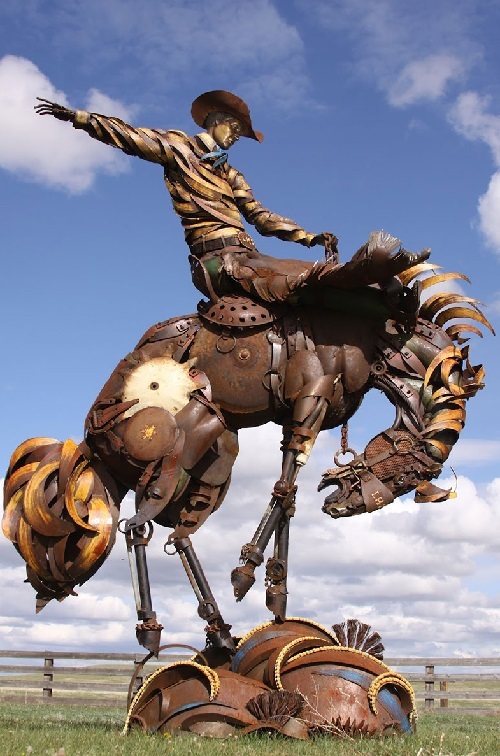 In his hands, old discarded farm equipment is recycled into sculptures of iconic creatures from the American West. “My favorite part about these pieces is the texture,” explains Lopez. This unusual detour started about three years ago, when his beloved aunt died in a car accident. Lopez moved to his widowed Uncle Geno Hunt’s ranch to build a family cemetery. Uncle Geno opened his welding shop to Lopez, who completed a fence around the cemetery, then ran out of material. After some experimentation, he finished a gate into the cemetery, and then made a small angel peering over the top of the gate. The project gave him much personal satisfaction, and everyone who saw it was amazed at the result. A new career path was born in that cemetery. Realistic Paper birds by Diana Beltran Herrera is a truly piece of art. Inspired by the filigree beauty of bird wings, their exquisite grace, Colombian paper artist Diana Beltran Herrera has created a collection of paper birds. The collection consists of more than 100 species of birds made from intricate hand-cut layers of painted paper. 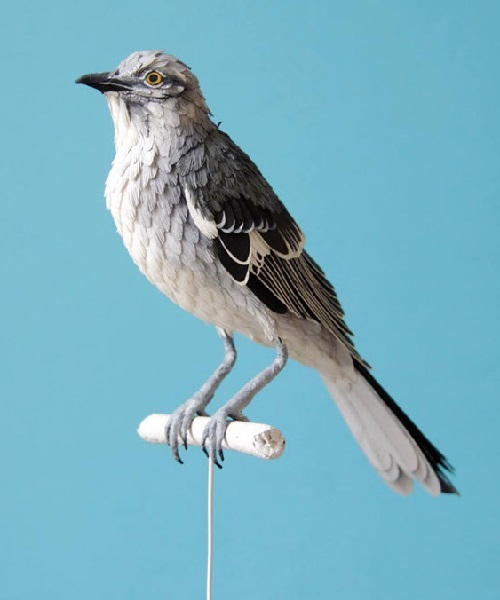 The bird sculptures, among them – pink flamingo, white crane, woodpecker, red heron, and many more, are startlingly realistic, and could be a good teaching material at schools. Her works are based on the photographs of real birds, which she first draws to get dimensions and details. The sketch and photograph help her in all the working process. She has been working over the past years with paper as the primary medium. 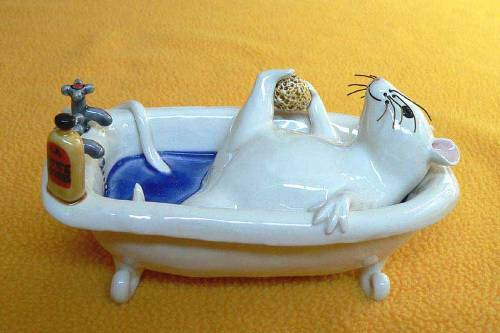 Porcelain animals by Jennifer Robinson. British ceramic artist Jennifer Robinson was born in England in 1955. She spent most of her childhood in the north east of England, on the North Yorkshire coast. Her mother was interested in plants and amphibians. Her father was a geology lecturer, with a passion for fossils. This background helped her to develop her interest in nature and in art. As a child she enjoyed modelling animals in plasticine. Jennifer has been a professional potter since 1979, then started specializing in hand modeled animals. Jennifer’s animals are either humorist or full of tenderness, or both. 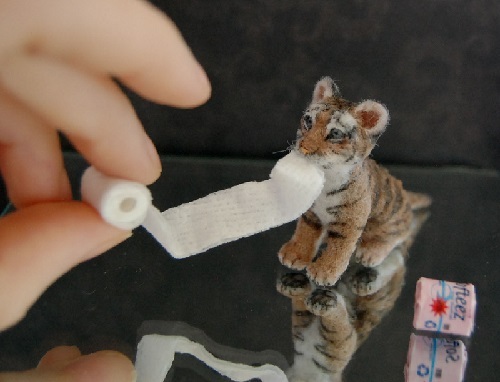 American self-taught artist sculptor, working under the pseudonym ‘Reve’, has created a large gallery of one of a kind miniature animals from polymer clay. The additional material the amateur artist uses – textile, mohair, natural fibers (yarn), with a touch of and hand painted details. These incredibly realistic miniature animals show an inimitable combination of expression, coloring and coat pattern, with its own characteristics and personality. Besides, each sculpture is unique and its price on eBay is approximately $ 100. 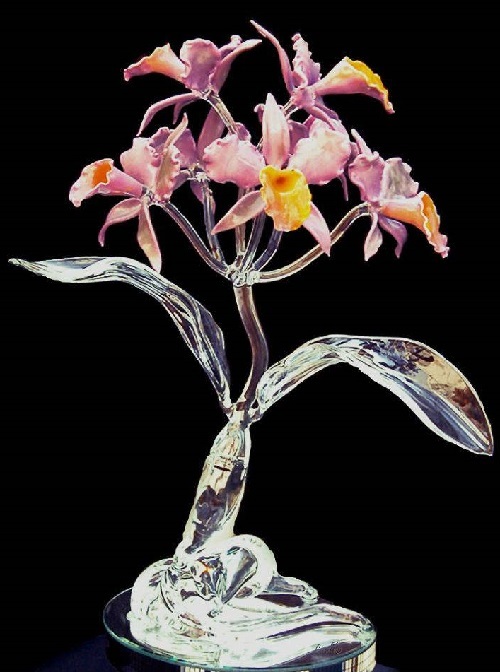 Glass wildflowers by Ronnie Hughes are called “Liberty in bloom”, so natural, realistic and detailed these glass sculptures are. Ronnie Hughes was born in 1954 and grew up in the Blue Ridge Mountains in North Carolina. He learned about glass blowing from a friend after he had graduated from the Wake Forest University in 1976. The glass artist admits that having spent two weeks working with glass, he was hooked. Since Ronnie Hughes did not receive special art education, his aptitude for blowing glass had become a great and pleasant surprise for him. Glassblowing became his career, on which he has spent 35 years, creating a large gallery of glass sculptures, which are now in galleries, art exhibitions and private collections.